This form of Kinetic Art probably originated in Southern California in the 1960's. Many artists experimented with variations, most of which did not last long. Our "SandScapes" are an example of the most popular type. are each individually handcrafted out of our home-shop in Lonoke, Arkansas. 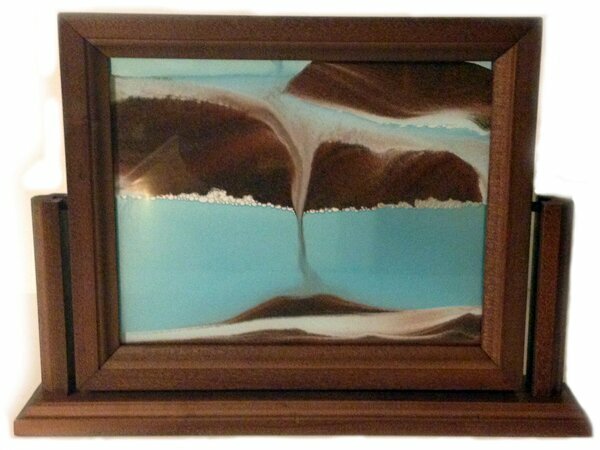 Each picture contains three different sand colors, detergent water, and air. The wood frame and base is made from poplar or alder wood , depending on availability, wood that is stained in four colors. Due to slight variations in the wood grain, there may be subtle differences in the color. 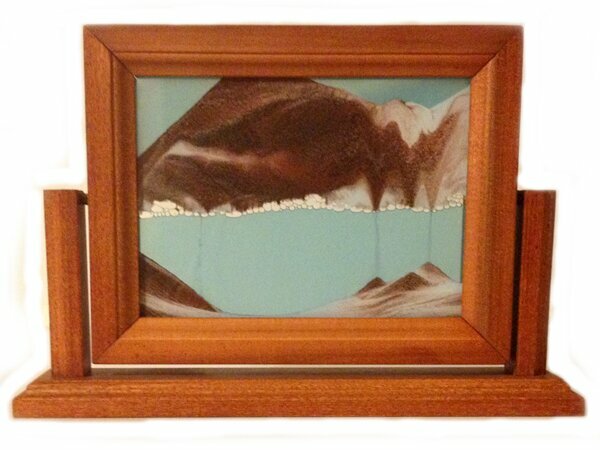 Custom Wood Frames and Bases upon request. 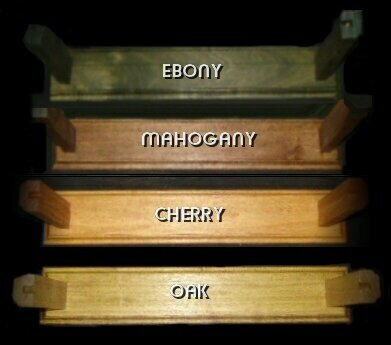 If you would like a frame and base made from either cherry, oak, mahogany or ebony wood, please contact us for a quote. Simply flip your SandScape on it's swivel stand so the vibrantly colored sands slowly cascade through the layers of bubbles to form delightful mountain, desert, and marine scenes. Each time you flip your SandScape, it promises a different pictorial depiction of serenity as it quietly captures your imagination. Sand color choices are: Blue, Soutwest and Turquoise.